Graham Edwards General Purpose (GP) Tandem Axle Braked Trailers are built up to our exacting standards, toughness and durability are of paramount importance and our general purpose trailers are built for work and must be cost effective over their operational lifetime. Our (GP) General Purpose trailers come in single axle & twin/tandem axle braked versions and single & twin unbraked variations. Making a total of 10 different model variations available. In addition, these GP trailers are designed to accept various extra equipment even after sale. 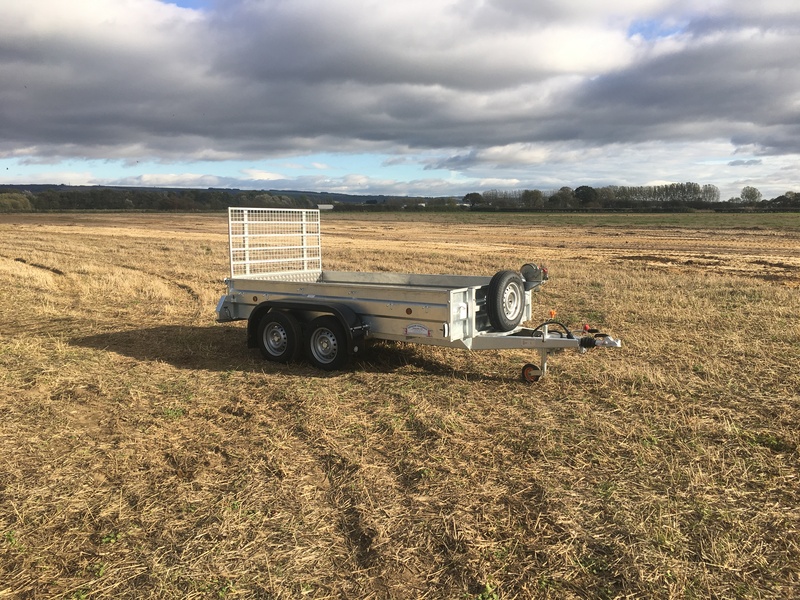 All our general purpose trailers are made with rigid sides using 2mm steel plate, folded to add more strength, then welded together before galvanizing to form an extremely robust monocoque shell. 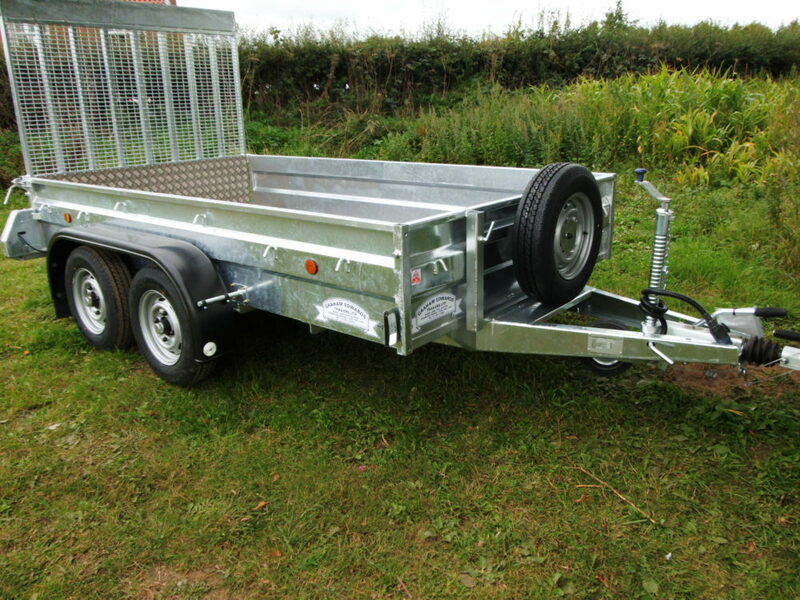 To this basic unit can be added various options to make this class of trailer a truly versatile piece of equipment. Among the options available are livestock kits, box van kits, tarpaulin cover kits, extension side kits and solid lid kit. 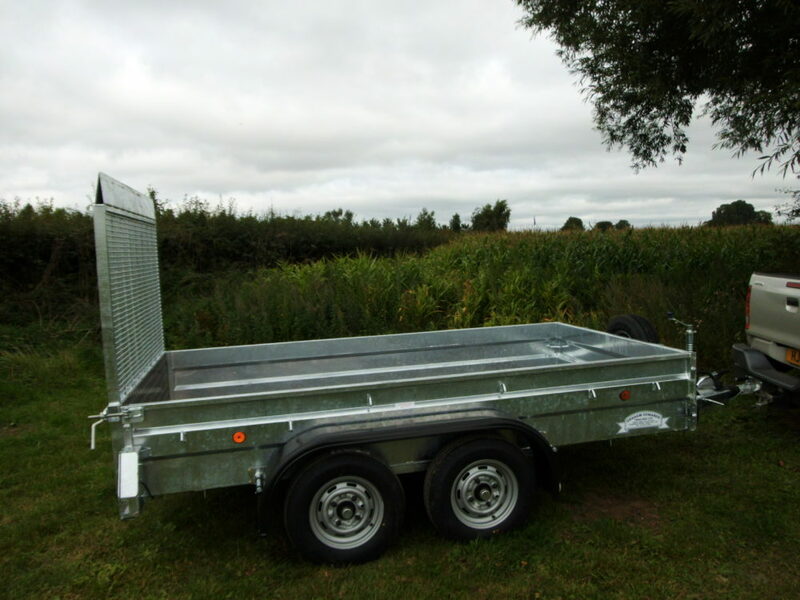 All basic General Purpose Trailers come complete with a hard wearing phenol coated plywood floor and an alloy chequer plate cladded tailgate. Rigid steel welded framework construction hot dip galvanized after fabrication. Fitting points for all optional kits built into each trailer. Rubber torsion bar suspension for smooth maintenance-free ride. Override braking systems to full EEC specifications. Fully approved lighting systems with double seal loom connections. Check out this video of our GP with Livestock kit upgrade. 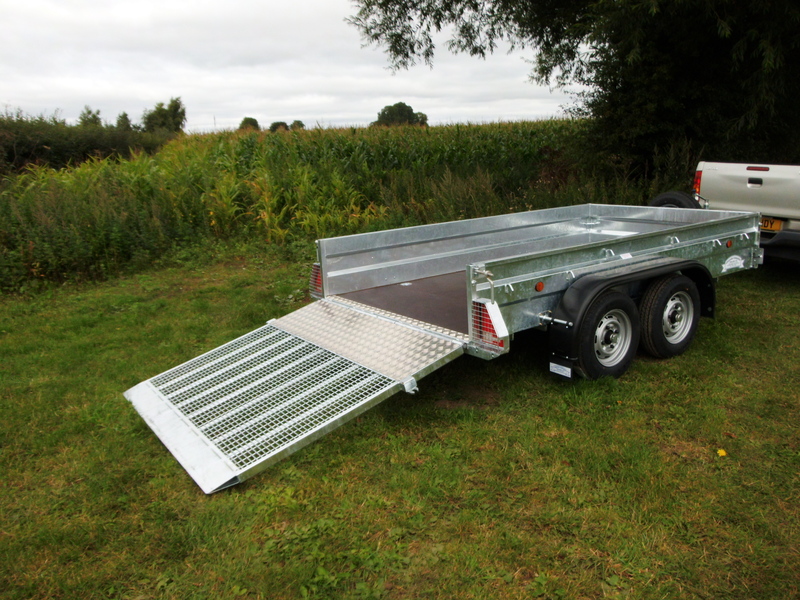 Although fitted with many features as standard we offer many optional extras which enable you to customise your trailer so that it fits your own specific trailer needs. For a complete list with descriptions and prices click optional extras below.